Dry Run Honey turned to Octavo Designs to develop the packaging design for a new line of premium honeys set to hit shelves in late 2018. They wanted something truly unique—a design that would not only showcase the nature of their exceptional product and the passion that goes into it, but one that will stand out in a growing market. With a project this fun and delicious, the Octavo team found themselves abuzz with some pretty sweet concepts. In the end we let the honey do a lot of the talking and let the packaging celebrate the beauty of nature and the fruits of its labor. 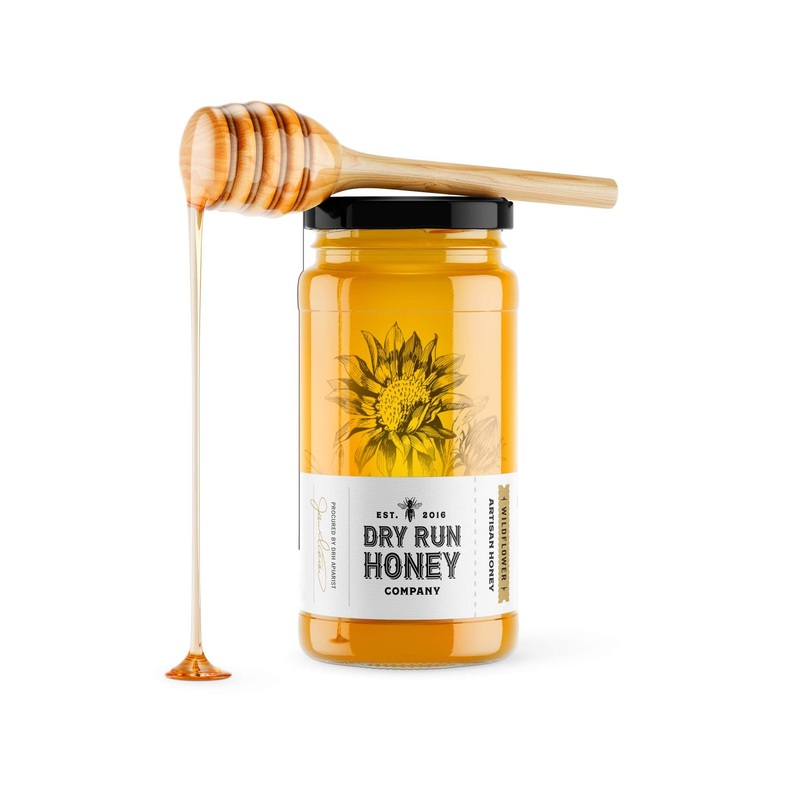 Dry Run Honey Company’s approach to beekeeping inspired our team’s approach to this project. We wanted a look and feel that stays true to their philosophy and appeals to their target market: those who take pride in local, artisan products. Honey-lovers who appreciate all things organic, simple, and sweet will appreciate showcasing these remarkable jars.